F.A.I.T.H. - Tammy Billups - F.A.I.T.H. Tammy was a successful top biller for a nationwide recruiting firm in 1999 when her life dramatically shifted due to several rapid losses near and dear to her heart. Intuitive gifts and childhood memories she had long repressed resurfaced, which set in motion a deep inner healing journey and new path in life via a gentle healing method called Bioenergetics. She saw remarkable results with her body, emotions, and behavior. Chronic physical ailments virtually disappeared. Daily medications were no longer needed as she embraced an overall healthier lifestyle. Tammy’s mastery of Bioenergy Healing was propelled forward by her natural gifts for experiencing energy and her personal healing journey. She began working with individuals and animals in 2001, utilizing her highly intuitive healing gifts that were honed through training at The Center for Integrative Therapy. Her group seminars and workshops over the last decade focus on deepening self-love and nurturing, and getting connected through various methods like meditation, dream interpretation, essential oils, and techniques to gently release stress and anxiety. One of her passions is sharing her discoveries about the spiritual relationship between animals and their people. She’s currently working on her book Beyond the Fur, a guide to help people understand and interpret their animal companions’ ingenious messages. With that awareness both the individuals and their animals can grow, heal, and love more deeply. 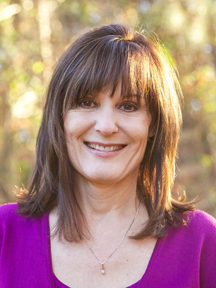 Tammy is a Certified Bioenergetics Interface Therapist, Certified Healer for Animals, an Ordained Inter-Faith Minister, and is trained in Healing Touch for Animals®.